New for 2012: BABY PLANNER PACKAGES!! Pregnant?? Know someone who is?? Well, then.. our new Baby Planner Packages are sure to delight! Lets face it... baby's first year is a BLUR! Believe me.. I KNOW! I have four kiddos of my own, the youngest of which will be a year on Sunday and I CANNOT believe it! WHERE did the time go??!! During pregnancy and shortly after birth you make a silent commitment to yourself: "I will document every minute of this little ones life. I will get photos at all the major milestones (ie: newborn, 3 months, 6 months, 9 months, 12 months). I will have photos hanging all over the house." We, as parents, generally do a great job at scheduling the newborn photos... but somehow, life creeps in and we miss everything in between and before we know it, we are planning a 1st birthday. EEK! But never fear! With our Baby Planner ALL the major milestone appts are made in advance! You simply pick your package and you are set. You can choose to schedule out all the sessions right then, OR you can choose to have a friendly reminder email sent to you one month before each major milestone age. 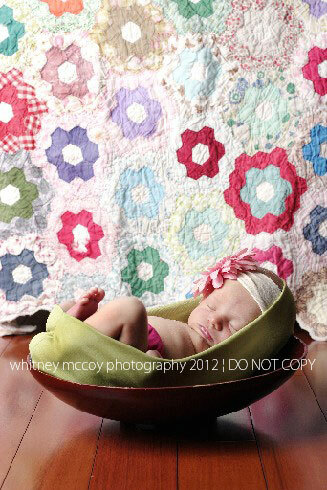 You won't have to worry about the dreaded.."OMG...I missed setting up the baby's 6 month photos. :( "
Didn't get what you really wanted for Valentines Day? Or maybe you, *gasp* FORGOT!! No worries! From now until the end of February you can get 25% OFF all Gift Certificates to WMP! Gift Certificates are available in any amount, starting at $25. :) They can be used towards session fees, and/or prints. They are good for an entire year from the date of purchase. Choose between an e-gift certificate (valid recipient email is needed for e-gc), OR a printed card to be mailed to you. 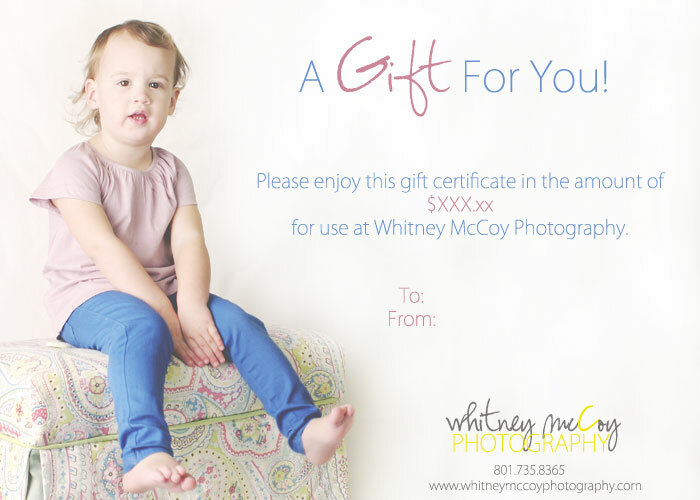 To purchase a gift certificate, click HERE and click on the contact page, or.. email whitney@whitneymccoyphotography.com and put "Gift Certificate" in the subject line. Sale ends February 29th. So, act fast! !